Fri 14th Dec. Doors 7.30pm. Start 8.00pm-9.30pm. Free admission. 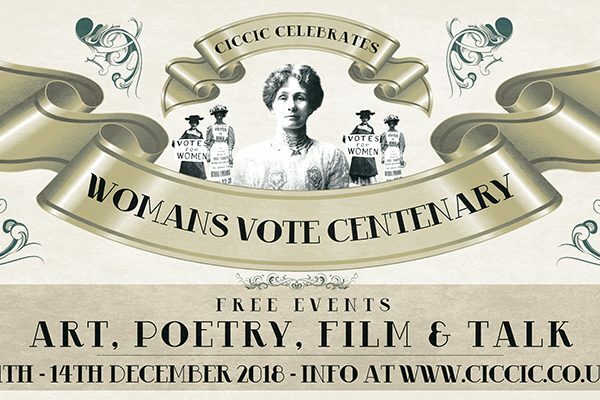 Join us as at CICCIC for an enlightening talk by award-winning historical novelist and women’s suffrage historian Lucienne Boyce. In 1909 five women were sent to Horfield Gaol in Bristol, four of them for criminal damage, and the fifth for breach of the peace. 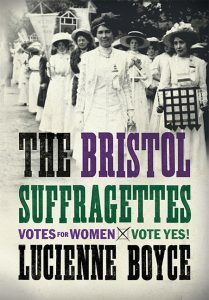 The women, one of whom was from Bristol, were militant suffragettes whose actions took place over the course of several days of protest in the city. 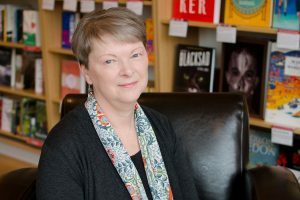 In this talk, Lucienne Boyce will explore the motives for their crimes, describe their prison experiences, and tell their suffrage stories. The talk, which takes place one hundred years to the day after women voted in Parliamentary elections for the first time, will include reference to national and local events. Free Exhibition, Taunton Library: You might also be interested in calling into Taunton Library to see the Votes for Women 100 Exhibition which was created by the West of England and South Wales Women’s History Network and Bristol Libraries as part of the Votes for Women 100 commemorations. There is no charge for the exhibition, which runs from 10 to 22 December 2018. For venue details see the Taunton Library website.